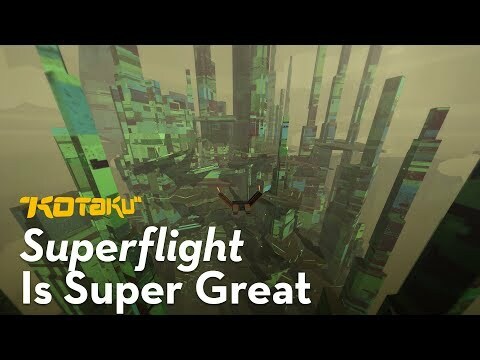 Superflight is a simple game about a complicated action - wingsuit flight. You score points for almost touching obstacles. If you touch anything, it's game over. The playground mountain levels are procedurally assembled. It's beautiful and endlessly entertaining. I made a video about it. Superflight is a PC game I've been having a lot of fun with this week. To get an idea of what it's like, imagine if Tony Hawk could fly.